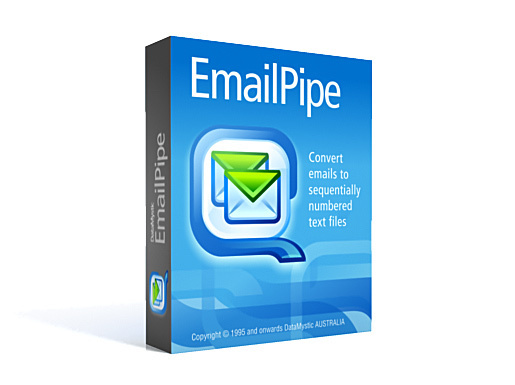 EmailPipe converts emails to sequentially numbered text files suitable for further processing. It attaches to MAPI clients including MS Outlook or Lotus Notes. Processed emails can be moved or deleted, and can be retrieved from any folder. You control where output text files are written, what they are called and how the file number is formatted (and what the file number starts counting from). The file name can also include details like the email address sent from or to, the subject, the date and more. EmailPipe runs under Microsoft® Windows® 10, 8, 7, Vista®, 2016/2012/2008/2003 Server, XP x32 and x64. There is no limit on the number of emails processed.